Erich Haygun performs on the Cantab open mic. Photo by Hannah Cohen. 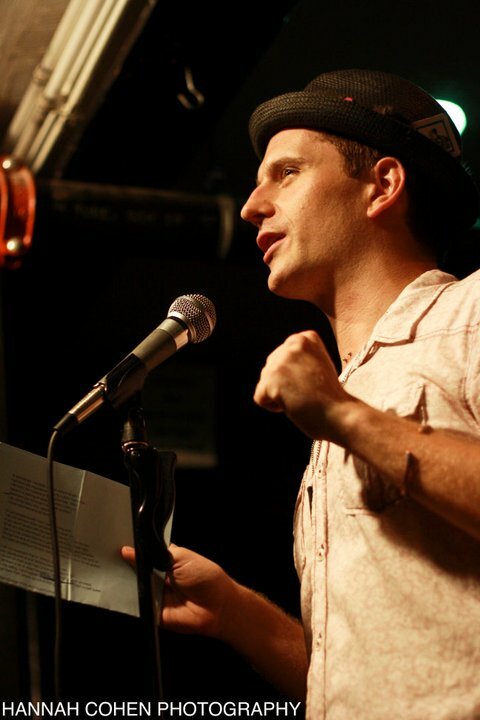 Recently transplanted to the west coast of Canada, Erich Haygun was a fixture of the the venue’s open mic and slam for years, representing the venue at the Individual World Poetry Slam in 2008 and shaking the hand of many a first-timer at the door. Erich will bring us a full set of work informed by his latest travels. For more information about Erich, see his bio page on our homepage here.